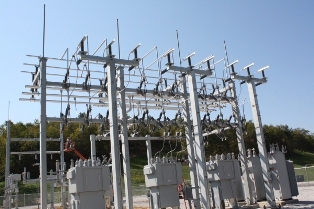 Vaughn Industries has been installing and maintaining substations for many years, earning our reputation as one of the Midwest’s top substation contractors. We have the resources and experience to costruct a new facility from the ground up, providing everything from foundation installation to transformer dress out, and installation of control buildings. From start to finish, Vaughn Industries is dedicated to providing top-quality service, no matter the size or scope of the project. 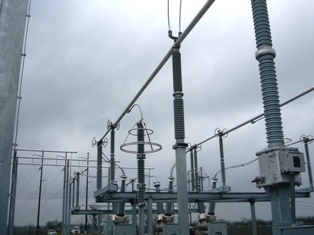 Not only do we specialize in installing substations, but we also provide many maintenance and repair services for already-existing facilities. As you can see in our list of services below, Vaughn Industries can be your “one call” contractor of choice. 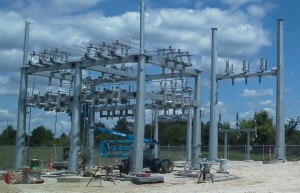 Let us meet all of your high voltage needs. More and more people are demanding to convert their overhead electrical systems to underground, and Vaughn Industries has helped many industrial and commercial customers make the switch. 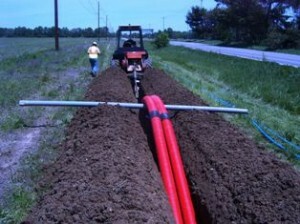 Underground systems have many advantages – less chance of losing electricity due to power outages and no more hassle of trimming tree branches to avoid power-lines. Vaughn Industries has always prided itself in staying up to date with the industry’s recent technological developments, and underground systems are no different. We are here to meet our customer’s demands with top quality work and professional technicians, while always meeting budget requirements. We can construct brand-new underground systems, both trenchless and open-trench, installing all of the cables and pipes necessary. We have experience in the maintenance of already existing underground systems, able to replace or repair any malfunctioning components. We have installed street lighting systems as well as airport lighting, and we can even construct confined space entry systems, allowing our customers to easily access areas with constricted spaces. 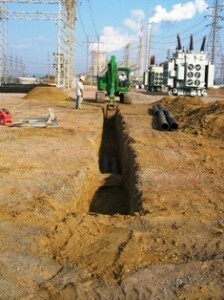 Even high voltage cable installation presents no trouble for us – we can easily work with cabling up to 138 kilovolts. Browse through the list of Underground services that Vaughn Industries offers, and discover why we are Ohio’s premier underground contractor. Let us meet your needs.